WorldWide Electric’s Permanent Magnet DC motors are used to regulate or change speed on various applications. These motors allow end-users to use an AC voltage source with our controller to vary the speed as your application requires. These motors come with an extra set of brushes and springs for 90 & 180 volt motors. These brushes are rated for 2500 hours, so you get 5000 hours’ worth of brush life with the extra set of replacement brushes. 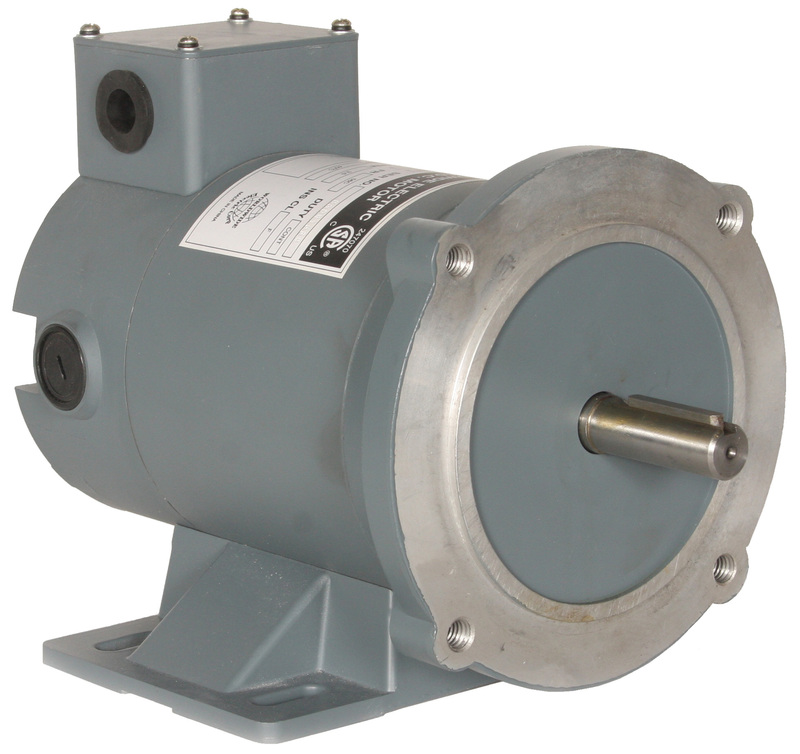 We supply Permanent Magnet DC Motors with a TENV / TEFC Enclosure. The different voltage motors we stock are 90 Volt, 180 Volt, 12 and 24 Volt. Each with a removable base - C-Face. 1800 RPM for all motors with a 56C Frame. Extra set of brushes and brush springs included. 12 and 24 Volt models used in applications where low voltage DC power is supplied by batteries or generators.